Venue: The Omni Parker House in Boston MA, USA. For hotel details and activities on the days surrounding the conference, click here. Thursday Pre-Conference Workshop (Rev. Jennifer Hadley): 1:00p.m. – 4:30p.m. Friday Conference registration will start at 12:00noon with the first session shortly thereafter. Sunday Post-Conference Workshop (Bill Free & Lisa Natoli): 2:00p.m. – 5:30p.m. Monday: Most excursions will likely be done by around 4:00p.m. – but again times are not firm for tourist excursions yet. 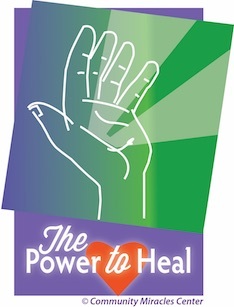 The Community Miracles Center (CMC) is hosting one of the largest A Course in Miracles (ACIM) events in the world. The conference brings both teachers and students of ACIM together to share and celebrate their love of God. As always, an incredible lineup of today’s most acclaimed A Course in Miracles speakers will offer unique, interesting and fun presentations and workshops to more than 500 attendees. An opportunity to hear many of your favorite ACIM teachers and immerse yourself in the A Course in Miracles community! Plan ahead and book a counseling session with Jennifer Hadley in person. The weekend also includes four all-you-can-eat buffets, a Saturday night dance party with Neda Boin, and a Sunday finale celebration. Accommodations and tourist activities are extra. Jennifer Hadley will present once more at the 2019 ACIM Conference in Boston. This is her fifth time speaking at this ACIM Conference. Come and experience the way Spirit speaks through Jennifer to inspire you to truly LIVE A Course in Miracles. Jennifer is the host of the popular A Course in Miracles radio show on Unity.fm which has a large archive for you to listen to, that includes popular ACIM teachers such as Ken Wapnick, Gary Renard, Jon Mundy, David Hoffmeister, Regina Dawn Akers, Nouk Sanchez, Nick Davis, James Twyman, Alan Cohen, and many more. There are new shows every week for free, please come join us! Jennifer also hosts the global free A Course in Miracles Classes, Living A Course in Miracles enjoyed by more than 50,000 people around the globe from over 100 countries. We humbly encourage anyone interested in hearing Jennifer Hadley speak, learn about A Course in Miracles, or connect with her personally to enjoy this precious opportunity to be with her and other like-minded souls in the community to celebrate our awakening. Jennifer has been a presenter at the last four national ACIM conferences held by the Community Miracles Center. We look forward to celebrating our awakening of the heart with you at the 2019 ACIM Conference in Boston! Please click here to register now and purchase these limited tickets while they are still available! Below is a list of presenters for the 2019 ACIM Conference in Boston. All of these ACIM teachers and presenters will be available throughout the conference to talk to and interact with. Some of the greatest teaching takes place in the hallways, at the information tables, and especially at the lunch and dinner tables. “To teach is to demonstrate.